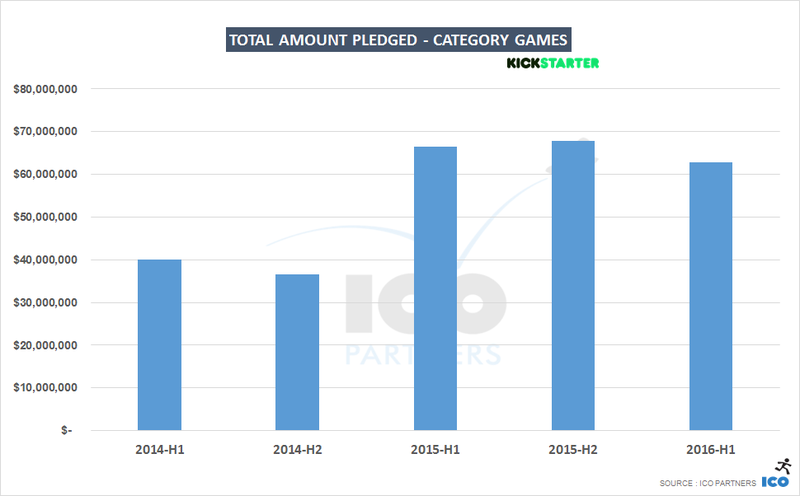 Half of 2016 is behind us and it’s a good time for me to make one of those regular checks on the trends in crowdfunding and games. Compared to the last 4 semesters*, the first half of 2016 has seen a similar number of projects being submitted, but more projects getting funded overall, reaching a ratio of funded projects of 35%, compared to 31% in the previous period. 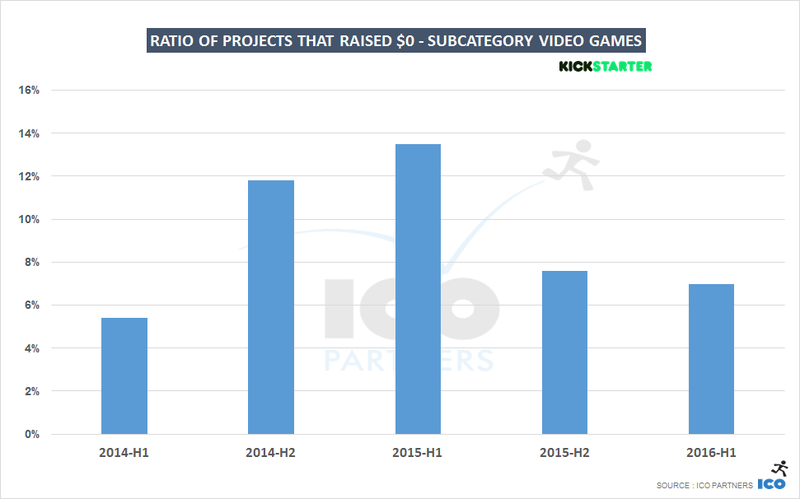 The total amount of money raised is lower than either half of 2015, but that is mostly due to a smaller number of very high performing projects. 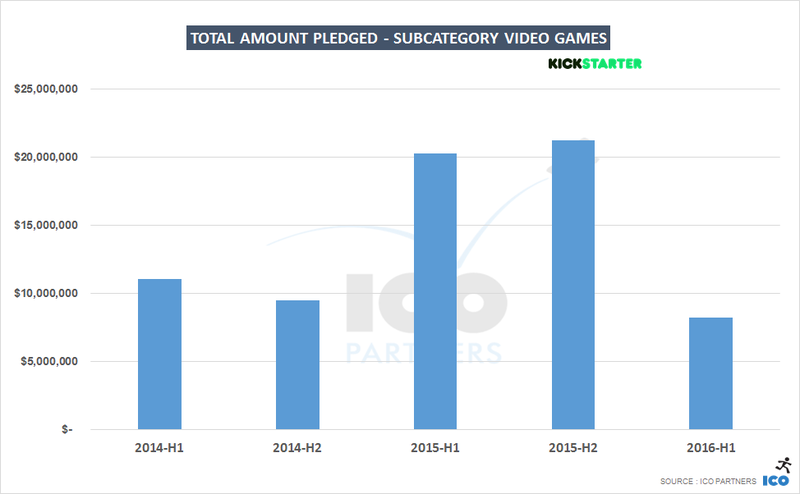 If you ignore the projects that raised more than $500,000, there has been more money raised for games. 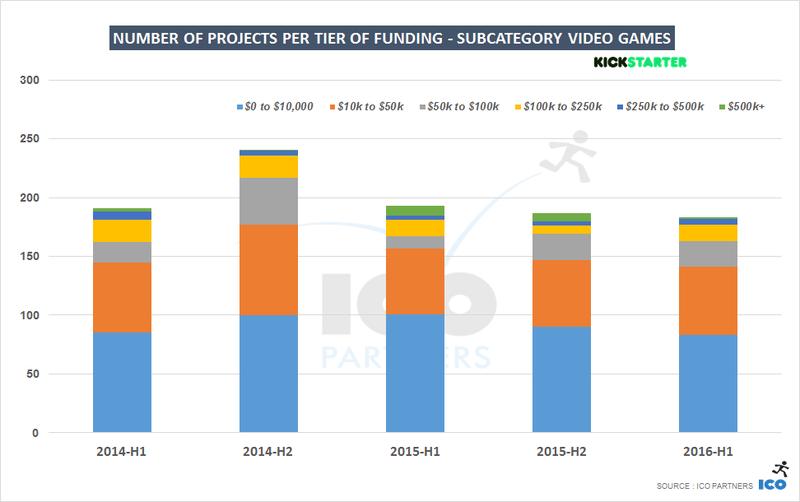 There have actually been more game projects funded than in all the other tiers for the past 2 years. 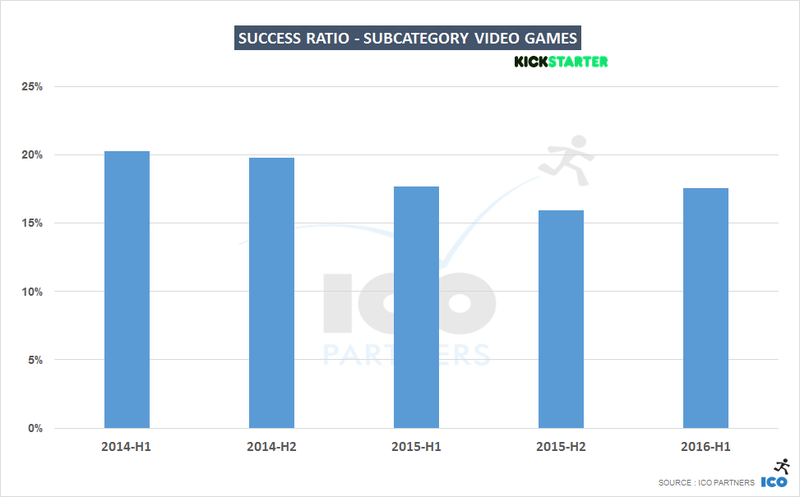 Looking into video games though we can see that most of the money raised by games this semester wasn’t by this subcategory. A meagre $8.2m was raised, compared to more than $20m in the previous period, and this despite having more or less the same number of projects funded. 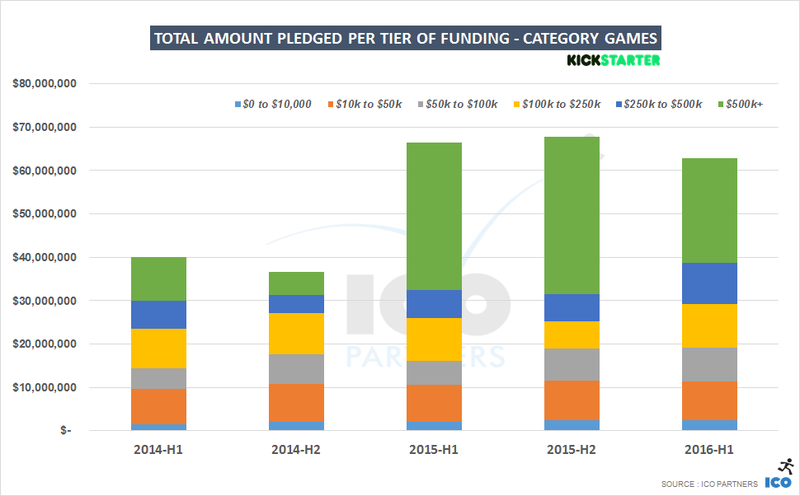 When breaking down the projects per tier of funding, it’s obvious that what has been missing in the last 6 months is a couple of large projects, as all the other tiers have actually raised more money than in either of the two 2015 semesters. 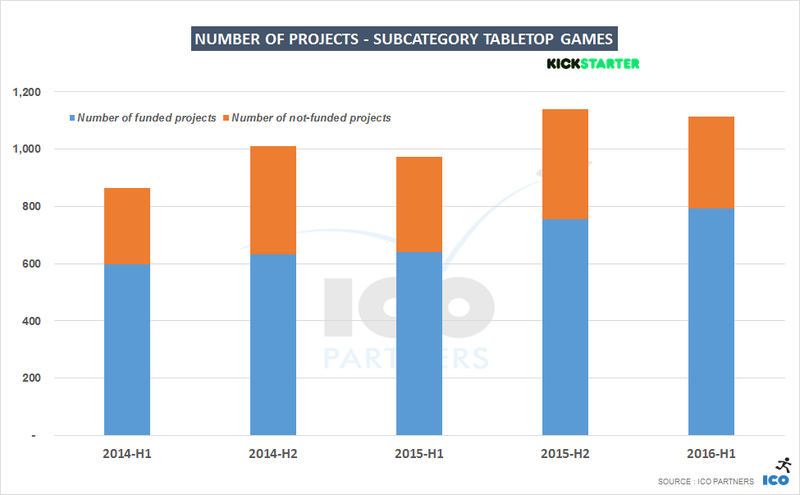 We are not at the levels of 2014, but it is reassuring to see that despite less money being seen, the amount of funded projects has actually stayed about the same. 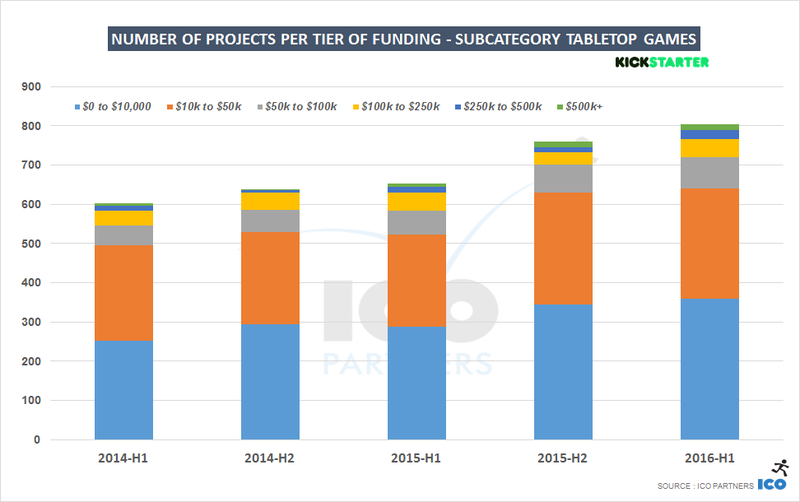 Even more surprising, there has been a decline in the number of projects raising less than $10,000, with the other tiers having stayed the same or grown from the second half of last year. 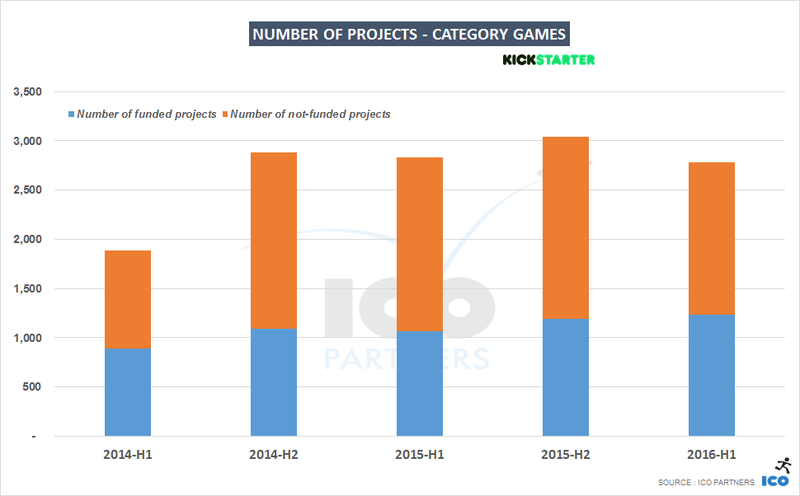 As fewer projects were put on the platform, but a similar number of them got funded, we can see that the ratio of successfully funded projects has increased. 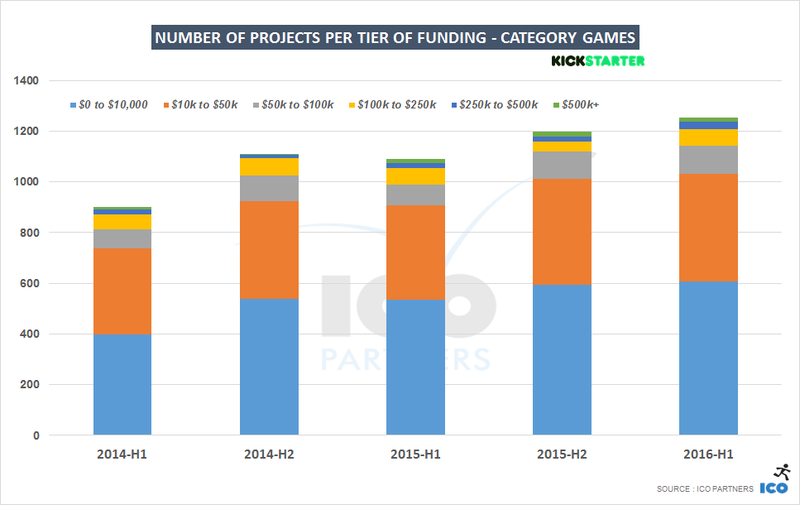 And the same happened with “junk” projects (projects with $0 pledged to them), possibly indicating the notion that Kickstarter projects are not easy to get funded is sinking in to the larger audience. As John Romero has learned the hard way. 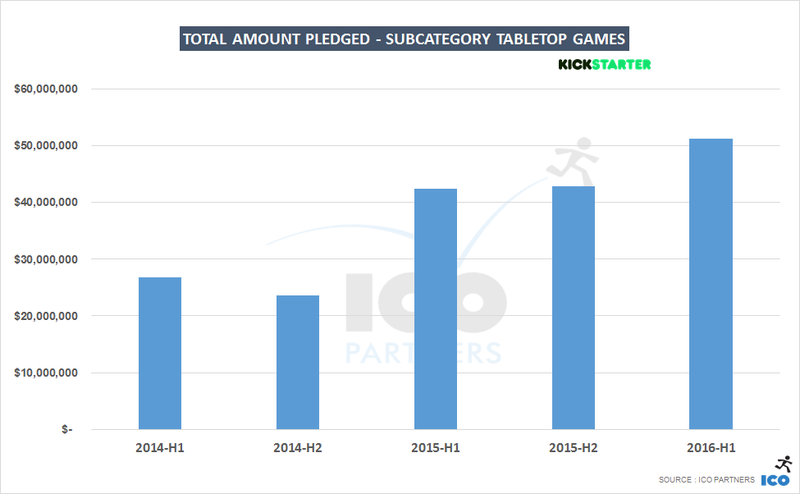 Board games are still doing incredibly well on Kickstarter. The category is constantly growing, on all the positive metrics: number of funded projects, amount of money raised, and even ratio of funded projects. 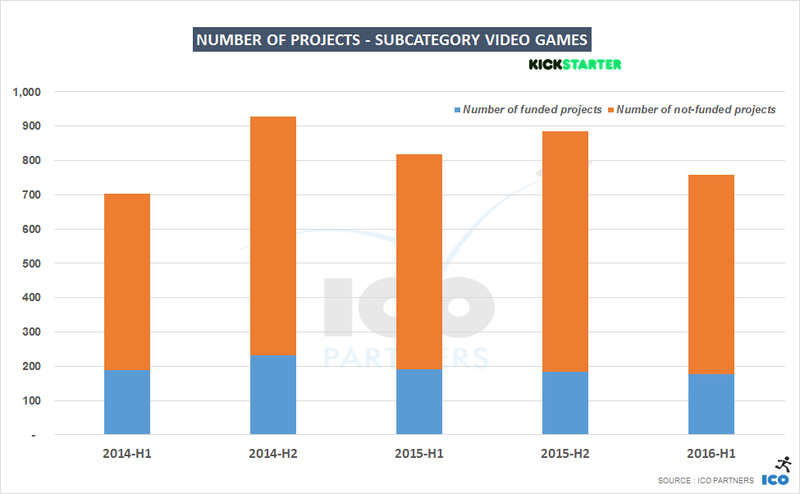 I don’t think much needs to be added, it seems like there is healthy relationship between those projects and crowdfunding, that might not be as natural, or as elegant for video games. 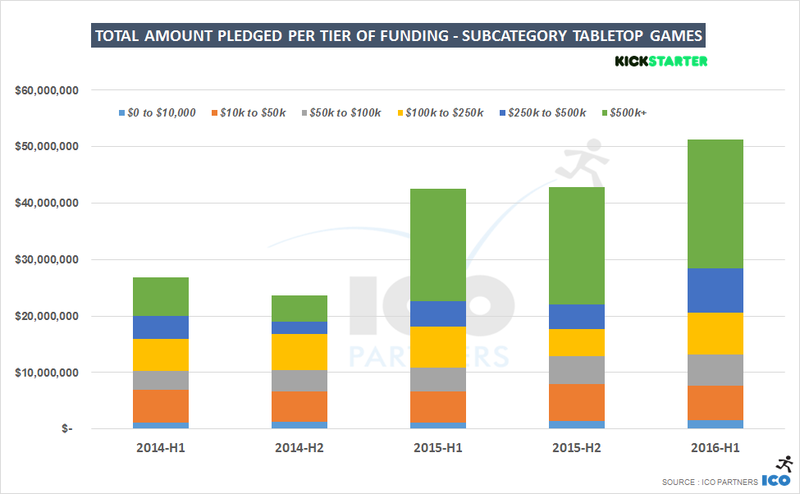 These past 6 months, projects in the tabletop games categories have raised 6 times as much money as video games, and 4 times more projects got funded.